Choose from 75 hotels and guest houses in Derbyshire. Shown below a just a selection of the hotels available. To search within an area please use the menu on the right. The Whitworth Park Hotel is ideally placed to visit the Peak District's many attractions. This grade 2 listed building has been fully refurbished. This Victorian building retains many original features, from the beautiful oak panelled restaurant to the very stylish lounge bar, this period property has been sympathetically restored. We have five fantastic rooms all en-suite, three of which are exceptionally large. Our restaurant serves top quality freshly prepared food seven days a week. Our full English breakfast is also freshly cooked to order. The Ramada Encore Derby is located in Pride Park, within walking distance of Derby Train Station and the city centre. Free parking is available. All the rooms are en suite and air conditioned. The hotel hosts the Hub restaurant and bar area, and has free Wi-Fi within public areas. There is a gym with a sauna, which is free for guests to use. Ramada Encore Derby is within easy driving distance of Alton Towers and Chatsworth House. Just minutes from the East Midlands Airport terminal and the M1 motorway, this newly opened modern hotel offers great value, with spacious, air-conditioned rooms and free parking. 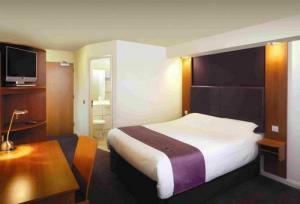 The Premier Inn East Midlands Airport is easily accessible from the M1 and the A50. Donington Park motor racing circuit is close by, as are DHL couriers and British Midland Airways. The hotel has a 24-hour reception desk and all rooms have Freeview TV and power showers and baths. Some rooms can take 2 adults and up to 2 children (under 16 years). The 2 children also get a free full breakfast when accompanied by an adult eating a full breakfast. An all-you-can-eat buffet breakfast is available each morning and includes scrambled, fried, poached or boiled eggs, and pork or vegetarian sausages. There is also a wide continental selection. The on-site restaurant offers good food and drink at great-value prices. Legacy Chesterfield Hotel is close to Chesterfield town centre and main road and rail links. The hotel is close to the edge of the Peak District and well-located for local business centres and for exploring Derbyshire. It has leisure facilities, a steakhouse restaurant and free on-site parking. Set in the picturesque market town of Ashbourne, at the gateway to the Peak District, this former coaching inn has been carefully refurbished to provide contemporary 4-star accommodation. With a fusion of period features and modern comforts, Bramhalls of Ashbourne displays a blend of both Georgian and Edwardian architecture, with some parts dating back over 250 years. Today it features 10 luxurious, individually decorated rooms and an AA Rosette award-winning restaurant. 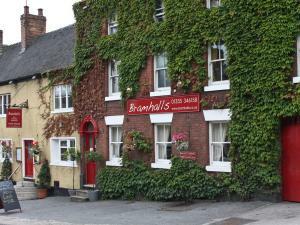 Just a stone's throw from the Market Square, Bramhalls is also the perfect base from which to explore the natural beauty in the surroundings, including the Peak District and Dovedale. Alton Towers and Chatsworth House are also just a short drive away. 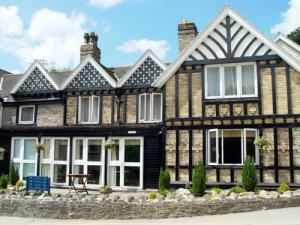 A Derbyshire hotel ideally located for walking, bird watching and cycling in the heart of the Peak District, Derbyshire. Formerly a 500 year old inn, this highly rated Derbyshire hotel in the heart of the Peak District has been transformed into a relaxing haven in which to unwind. Featuring contemporary d?cor, award-winning cuisine by chef Ben Handley, with friendly and unobtrusive service, the George retains its charm and character whilst offering every modern amenity. In the heart of Derby's city centre, this small, family-run budget hotel offers free private parking and affordable accommodation in en suite rooms and standard rooms with shared bathroom facilities. The Rangemoor Park Hotel has a great, central location, within easy walking distance of all that Derby has to offer, including the Eagle Centre and the city's business areas and tourist attractions. Derby's markets and shops are within easy reach and Donington Park motor racing circuit is only 11 miles (18 km) away. Awarded 3 Diamonds by the AA, the hotel offers a range of accommodation to suit the needs and budget of any traveller. En suite rooms are available, as are standard rooms without en suite bathrooms. All rooms have TVs, irons and ironing boards and tea/coffee making facilities. There is a large, free private car park at the rear of the hotel and Wi-Fi is available in the reception area on a pay-as-you-go basis. 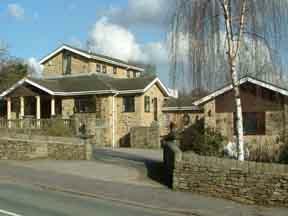 This fully modernised Georgian property, with its rosette award-winning restaurant, near the centre of Buxton, offers comfortable rooms with free Wi-Fi and parking. Surrounded by its own tranquil private gardens, the Lee Wood Hotel is a peaceful, relaxing base from which to visit the stunning natural beauty of the Peak District. Just off the A5004, the Best Western Lee Wood has great access to the region's major road network, with free guest parking available. Buxton's town centre is just a few moments' walk away. In 16 acres of beautiful, peaceful gardens and with spectacular views out over the stunning scenery of the Peak District, this country house hotel dates back to the 1830s. In the charming village of Thorpe, the Peveril of the Peak Hotel is a wonderful relaxing base from which to explore the surrounding countryside and the region's stunning natural beauty. Tastefully furnished and decorated, all of the comfortable and spacious rooms have sofas, tea/coffee making facilities, hairdryers and TVs with satellite channels. Each of the en suite rooms has a bath with a shower over it. Some of the rooms are south facing and many have magnificent views of the fields and hills of the Peak District The award-winning restaurant serves some of the highest quality food in the Peak District, made using only the finest, freshest seasonal ingredients available locally. Family friendly, the hotel prides itself on offering a warm welcome and a relaxing atmosphere. This 5-star English Tourist Council B&B with Silver Award on the edge of the Peak District is a B&B with a difference. Providing tranquil, well-appointed, quality en suite accommodation, Mardon House offers a luxury break in beautiful Derbyshire countryside. Opulent, individually designed rooms feature silk drapes and throws. The en suite bathrooms come with power showers and body jets. The heated indoor pool and 6-seat hot tub are for guests' use only, and complement your stay at this luxurious B&B. Holistic treatments can be pre-booked. There are several patio areas where you can enjoy drinks and the views across the open fields. Located opposite the Pavilion Gardens and only a few minutes from the centre of elegant Buxton, this hotel offers comfortable rooms, free Wi-Fi, a mouthwatering menu and parking. Enjoy the relaxed atmosphere and Real Ale bar with a wide choice of wines by the glass and draught lagers. The staff are amongst the friendliest free-spirits in the High Peak. The hotel has a peaceful location overlooking The Serpentine park on one side and the beautifully restored Pavilion Gardens to the front. Despite the leafy setting, Buckingham Hotel is close to all the action. This splendid 17th century inn is peacefully situated in the hamlet of Swinscoe on the Derbyshire/ Staffordshire border. Situated on the edge of the Peak district, close to Alton Towers, Dovedale, Ashbourne, Chatsworth House and Haddon. Accommodation at the Dog and Partridge is purpose built and situated in the grounds very close to Ashbourne. Guests will find it easy to relax in the traditional bar with its olde worlde character and charm, and its welcoming log fire in winter. Food is served all day with a wide ranging menu offering many local specialities. A la carte meals are served in our restaurant, providing still greater choice with imaginative cuisine supplemented by an extensive wine list. For our younger guests we offer their own menu. To ensure children enjoy their stay with us, there are indoor and outdoor play areas, games in the bar, extensive lawns and gardens with our rabbit and hen corner, baby listening facilities in all rooms, highchairs and cots. Pets are very welcome. The Dog and Partridge Country Inn is ideally situated for exploring the Peak District, Ashbourne, Bakewell, Buxton, Chatsworth House and Haddon Hall as well as Alton Towers, only 6 miles away. Rich in original character and traditional charm, this cosy 19th-century country inn offers good beers, great-value food and comfortable en suite rooms in the converted former stable block. Originally built in 1866, the Duke of Wellington was once a working farm and an inn for drovers. Traditionally built from Derbyshire limestone, the pub has a slate roof, roaring log fires and extensive gardens. Free wireless internet access is available in the bar. There are 9 en suite rooms in the beautifully converted stable block. Set away from the main building, the rooms offer comfort and privacy. The stable block has its own flagstone courtyard and free private parking is available on site. All rooms have TVs and tea/coffee making facilities. Recently redecorated in a traditional country style, the inn boasts extensive floral gardens with comfortable seating areas. There is also a fully enclosed and heated patio area, overlooking Riber Castle and the Derwent Valley. With a central location in the Roman spa town of Buxton, Portland Hotel is ideal for Chatsworth House, the Peak District and the Buxton Opera House (a 2-minute walk). 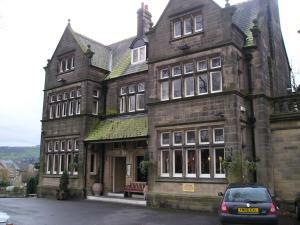 The Portland Hotel is situated on the A53 from Leek and Macclesfield, near to the Town Centre of Buxton. The hotel is just 100 yards (90 metres) from Buxton's famous Opera House, overlooking the picturesque Pavillion Gardens. Portland Hotel is also just a 2-minute walk from the famous crescent, as well as shops, restaurants, park and gardens. At Mickleover Court there is superb cuisine, first-class leisure facilities and a warm welcome from friendly staff. The stylish Mickleover Court hotel is near Derby, with easy access to the A38, A50 and M1. Derby, Alton Towers, Nottingham and the Peak District are all within easy driving distance. The leisure complex at Mickleover Court includes an indoor swimming pool, steam room, sauna, solarium and a large gym. Guests can also book beauty treatments, or a session at the hair salon. Quality, homely rooms and restaurant, with free private parking and free Wi-Fi, 5 minutes' walk from Chesterfield town centre and yet in a quiet part of town. The Abbeydale Hotel has easy access to the A61 and the M1 (North/South). You can walk to Chesterfield's market and famous 'Crooked Spire' in just 5 minutes. 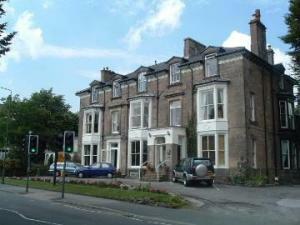 The house of the Abbeydale Hotel dates back to 1892, when part of it was a vicarage. 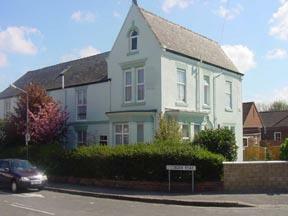 The house became a hotel in 1988 and has all the modern facilities you'll need. In the restaurant, the owners Else and Finn prepare and serve the dishes available on the small but exciting menu. Every dish has the quality and charm found only in homemade food. The Sandpiper is a modern, independent hotel, with free secure parking, free Wi-Fi and a great location for both Chesterfield and Sheffield. Fanshawe's Restaurant offers a superb modern British menu, with an excellent wine list. You can also relax in the more informal Henry's Cafe Bar, which offers light bites, bar snacks, wines, lagers, beers, spirits, liqueurs and speciality coffees. 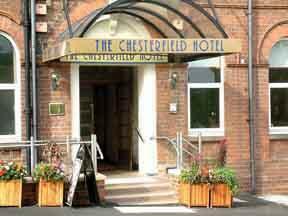 Just 15 minutes from the junction 29/30 of the M1, the Sandpiper Hotel is ideal for a visit to the historic market town of Chesterfield or the vibrant city of Sheffield. You might also visit Chatsworth House or the Peak District. If you are looking for a friendly hotel in a superb location then look no further than the newly refurbished Express by Holiday Inn Derby. 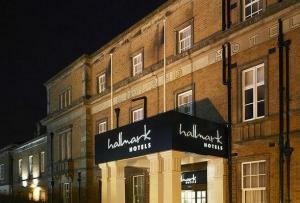 This purpose built hotel is ideal for both midweek business and weekend leisure travellers. We're also now fully air conditioned with a great new look in our refurbished reception, lounge and meeting room. Our great value rates include modern accommodation. The hotel has a well stocked bar that offers the opportunity of a quiet drink in comfortable, pleasant surroundings. Vending machines offer a wide selection of snacks and soft drinks. Additional facilities at our hotel include meeting space and free parking.